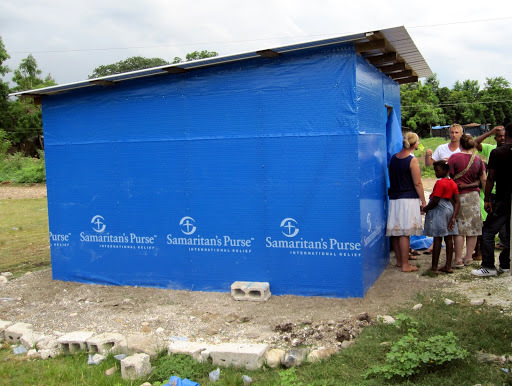 Among other work TouchGlobal is doing in Haiti, we have been working with a local community of Gressier to build temporary shelters to get people out of tents and tarps and in shelter that will withstand Category 2 hurricanes and keep the family dry (no need to help with staying warm here!). 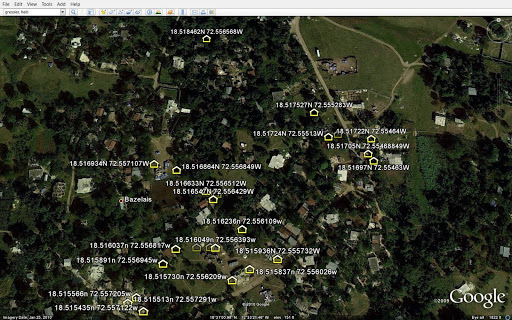 This week we began documenting all the shelters in Google Earth for reporting purposes. Amazing that large organizations are using this very user friendly approach! So if you have Google Earth and would like to get our KMZ file to zoom around the territory we’re in, leave a comment and I’ll send it along to you.